Jo Ann Barefoot loves a good challenge. As CEO of Barefoot Innovation Group, she works to build better solutions for financial consumers. That means working at the intersection of technology, markets, demographics, behaviors, cultures, and—crucially—regulation. John Pitts is the Policy Lead for Plaid. Previously he was the Deputy Assistant Director for Intergovernmental Affairs at the Consumer Financial Protection Bureau. John Pitts: How did you decide that you wanted to spend your time in fintech? 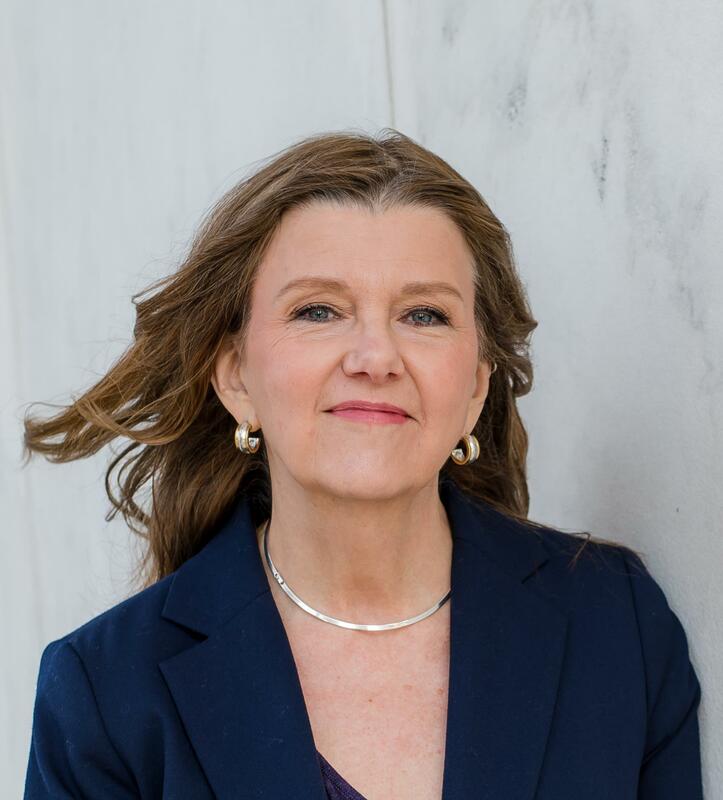 Jo Ann Barefoot: I spent decades working in consumer protection and financial inclusion as a bank regulator, for the US Senate, and as a consultant. Five or six years ago, I realized we could accomplish those goals better with new technology. So I immersed myself in technology and have been focused on fintech ever since. Not that we don't need regulation. We do. I’m issuing a series of papers based on research I undertook as a senior fellow with the Harvard Kennedy School Center for Business and Government. I looked at the track record of regulatory efforts when it comes to consumer financial health. And I’ll be honest: the results are mixed at best. "I looked at the track record of regulatory efforts when it comes to consumer financial health. I’ll be honest: the results are mixed at best." We don't have high levels of consumer financial health, and we don’t have full financial inclusion in the US. If you look at other parts of the world where financial services have gone mobile, everyone can access their money with a phone instead of worrying about trying to find a branch. JP: You worked as Deputy Comptroller of the currency from 1978-1982. Tell me about that job. JAB: The Comptroller of the Currency charters and regulates national banks. The agency was created after the Civil War to try to get bank-note issued currency under control—hence the archaic name. I set up the first function there focused on supervising national banks to assure consumer protection. JP: How has the industry changed since then? JAB: The industry has changed completely. For starters, as finance moves online and mobile, we no longer have a branch-based distribution of services. Technology has driven that shift. There has always been a lot of tech in finance, but the biggest change today is the ability of large and small companies to reach any kind of customer and serve them with almost any kind of product—often within minutes. It’s still challenging, in the legacy financial services ecosystem, to build profitable models that serve low-income or high-risk people. But that’s changing, thanks to technology. "It’s challenging to build profitable models that serve low-income or high-risk people. But that’s changing, thanks to technology." That's one reason I'm excited about fintech. In many cases, the main obstacle to serving low-income or high-risk customers is the cost of underwriting and executing those transactions. The result is that we fail to serve a lot of credit-worthy people. Fintechs are changing that. They’re using algorithms to underwrite these transactions, using alternative consumer data to accurately assess risk and help formerly marginalized people get credit, and using inexpensive mobile channels to serve the customer. JP: What are you most excited about right now? JAB: I’m excited about a lot! We’re in the process of digitizing finance. All our financial products and services were originally designed on paper, at a time when computing power was scarce and expensive. Now we’re moving those products from a world that is slow and linear and fragmented into a technology space that is swift and connected. Technology allows us to be so much more efficient, so much more predictive. We’re just starting to realize those efficiencies. As we digitize finance, we’re going to digitize financial regulation too, and that changes everything. I chair the board at FinRegLab, and we're currently running an experiment on creditworthiness. Our hypothesis is that there are a lot of creditworthy people who can’t get a loan based on their FICO scores. So we’re looking at monthly cash flows instead. That’s important because regulators will need to clarify what, if any, rules apply when a consumer shares cash flow data with a financial services provider for lending purposes. "Our hypothesis is that there are a lot of creditworthy people who can’t get a loan based on their FICO scores. So we’re looking at monthly cash flows instead." JP: Let’s talk about RegTech. You mentioned that a lot of regulation was built around paper. JAB: All of it, really. JP: Do you think the technology is ahead of the regulation? And if so, how can regulators close the gap? JAB: I have a regulator friend who says his agency realized that, by not changing fast enough, it was actually “accelerating backwards.” Regulators are built to be slow, but the tech is changing so fast. It’s a big problem. Anti-money laundering is a great example. The UN says we have 2 trillion dollars worth of financial crime every year, and we catch less than 1% of it. That’s because financial services providers are saddled with old technology and, more importantly for this conversation, old regulation. There’s a lot of work underway to modernize. If we can assemble more data and look at it in new ways, if we allow machine learning algorithms to comb the data and detect patterns, that will revolutionize how we identify and stop financial fraudsters. I'm a co-founder of an anti-money-laundering software firm called Hummingbird RegTech, which is working on solving this. "The UN says we have 2 trillion dollars worth of financial crime every year, and we catch less than 1% of it." The other force at work here is that Millennials have become the largest generation in the history of the world. As customers and employees, they are helping us get over the hump and realize that we need better technology. Increasingly they are making the buying decisions, setting the product roadmaps, even starting to bring financial regulation into the 21st century. JP: What doesn’t fintech understand about Washington, DC? JAB: There are no two cities in the United States more different than Washington DC and San Francisco. In literally every way: style, culture, architecture, what people admire, how they dress, what they eat. Everything. What the tech world doesn’t get about Washington has to do with the pace of change, the slowness of it. When you think about it, regulators actually have the hardest job. They’re supposed to let all the Good Innovation happen but keep out every Bad Thing—which is, of course impossible. "What the tech world doesn’t get about Washington has to do with the pace of change, the slowness of it." As a former bank regulator, I’m very sympathetic to that challenge. But fintechs are impatient; they aren’t waiting around for the regulators, and they underestimate the validity of the some of the regulatory concerns, which is also understandable. JP: Turning the question around: what doesn’t Washington understand about fintech? JAB: The biggest thing Washington doesn’t get about fintech is the upside potential. The way Washington is set up, it’s sort of geared to see a bad thing happening and try to stop it. They do that through legal and regulatory processes. And we are certainly going to see more regulation around privacy and data security. Some of that is warranted, but what worries me is that we might inadvertently kill off a lot of great innovation in the process. It’s a knee-jerk reaction; there is this assumption among regulators that some of these things—maybe most of these things—are scary and bad. So for fintech, it’s a race against time. If we don’t pioneer these technologies, if we don’t lead in these new spaces, someone else will. But for the time being, I think we are striking more or less the right balance. "For fintech, it’s a race against time. If we don’t pioneer these technologies, if we don’t lead in these new spaces, someone else will." JP: If you had a magic wand and could change one thing about how financial services works in America, what would it be? JAB: Honestly? I’d work on regulation—because I’m absolutely sure that’s the thing we’re most likely to get wrong. Fintech is complicated. As we’ve seen, there’s Good Stuff and there’s Bad Stuff, but generally it seems to be headed in the right direction. The danger, on one hand, is that we over-regulate it, which squashes innovation. On the other hand, we could under-regulate, which has the potential to harm consumers and create a backlash. If I could wave a magic wand—if you're really talking magic here—I would make US regulators work more closely together. Because right now it’s all siloed. JP: That would be a very magic wand, indeed. JAB: Well, we can’t reorganize them. We know that. So the next best thing is to build what I call “connective tissue” so that they can come together around financial services innovation. I'm particularly impressed with the FDIC’s new Innovation Initiative. Chairman Jelena McWilliams has an ambitious vision to transform how her agency approaches regulation, the thrust of which is that she’s trying to create a favorable environment for banks to innovate as fintechs do. There’s a lot of interagency discussion going on right now. My hope is that the FDIC’s initiative acts as a kind of seed crystal, where you drop a new element into the environment and it starts restructuring everything around it. "My hope is that the FDIC’s initiative acts as a kind of seed crystal, where you drop a new element into the environment and it starts restructuring everything around it." JP: Returning to the wand. Would you aim for federal regulators only? Or is your magic powerful enough to include state regulators? JAB: The states need to be involved, for sure. The Conference of State Bank Supervisors does a great job of liaising at the federal level, and they have a lot of technology projects underway themselves. The leading states—those with the largest economies, those with the highest density of financial services—need to be fully at the table with federal regulators, starting yesterday. With time, I think all states will participate in this discussion. I'm planning to form a nonprofit around these issues. The working name is the Alliance for Innovative Regulation (AIR). Our thinking is that, in order to get fintech regulation right, we have to create a movement of people who fully grasp the nature of this opportunity and are willing to work hard, and across disciplines, to realize it. Financial institutions should care about their customers' financial health.